During gamescom I got chance to check out an impressive hands-off demo of Control, an upcoming third-person shooter from Max Payne developer Remedy. Control sees lead character Jesse battling through The Oldest House, a mysterious environment that shifts, twists, and defies logic itself – imagine House of Leaves via X-Files. You fight through this space using a shapeshifting gun and telekinetic powers. The mechanics contrast against the bizarre setting, ensuring there’s a cohesiveness and predictability to your actions. Outside of the strange surprises that await in the set-pieces, story sequences, and character interactions, Remedy is attempting to ensure everything behaves exactly as you would expect when you interact with the world. Powering this cohesiveness is a new physics engine. 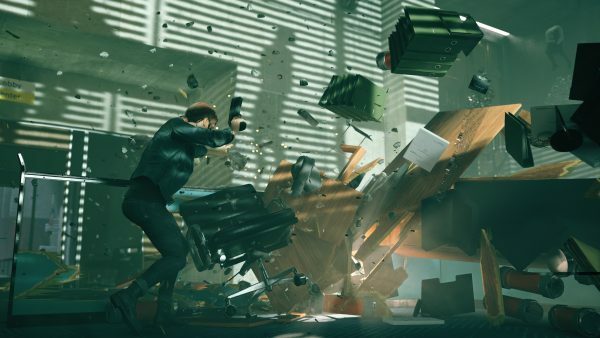 The studio’s last game, Quantum Break, relied on Havok for its physics simulation, whereas Control is opting for another piece of mysterious middleware. “There are elements to it that I’m not sure I can talk about,” game director Mikael ‘Mixu’ Kasurinen tells me when I ask about the physics tech behind Control. “We have an awesome physics engine, that’s what I can tell you. We’re using middleware, but I’m not sure it’s information we can release yet. The largest object Jesse throws in the demo is a forklift, but Kasurinen says that’s not the biggest object players will get their hands (mind?) on. To add to the fantasy, the environment will also react to your barrage convincingly. As well as the new physics system, Control uses a new motion matching animation system. This will “get rid of some of the jankiness” you may have noticed in Quantum Break, where characters often had a loose idle animation and looked like they’d attended a Tory power stance seminar. It should also fix the slight lag between inputs and what happens on-screen. Outside of that, the audio system has been revamped (though I couldn’t tell from the noisy show floor), and the final game will support that fancy new ray tracing tech from Nvidia. 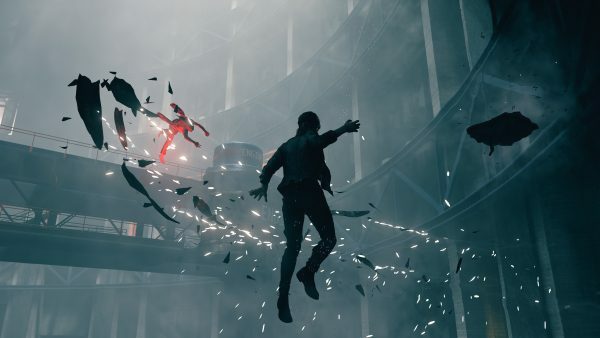 Remedy says all of this work has gone into the game to support a much larger, more freely explorable world.